Alexander’s sequence of verbal directions, let the neck be free, etc., I see as a shorthand that, when deeply understood, triggers a directional weave of inherent support that pervades and frees one’s entire body and being. Have you ever wondered what that weave would look like if you were able to see it? In April at CTC in London, I began teaching what I call my Salmon Rising/Water Falling Patterns, the complimentary oppositional kinesthetic pathways that course their way through us and that, when awakened, integrate us, allowing our bodies and beings to become light and substantial, soft and strong, firm and flexible, calm and clear, articulate and unified. In this workshop we will review the Water Falling Pattern we learned in April and learn the Salmon Rising Pattern as well. It is truly beautiful to see and understand the interplay between them. If possible, I strongly suggest attending the following days introductory workshop and learn how I use these patterns to introduce Alexander’s work to new students. I also invite you to stay over for one more day after the intro workshop and join our Dorset Graduate Training Program as we take a closer look at the structural components necessary for good group teaching. The cost for the one day workshop is £120. You are welcome to take both workshops for £175. Staying over and spending a day with us inside of the Dorset Graduate Program is free. If you do spend three days studying the Salmon Rising/Water Falling Patterns you will leave Dorset able to begin incorporating the patterns into yourself and your work. 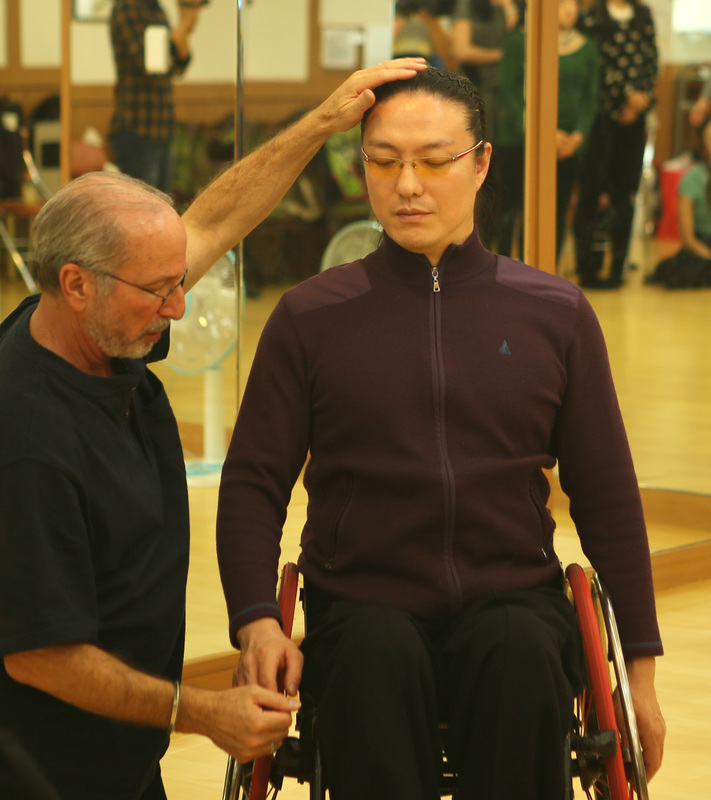 Bruce has been using his hands, helping people to move well, for fifty-five years. He trained with five first generation Alexander teachers: Catherine Merrick Wielopolska, Marjorie L. Barstow, Richard M. Gummere Jr., Elisabeth Walker, and Erika Whittaker. 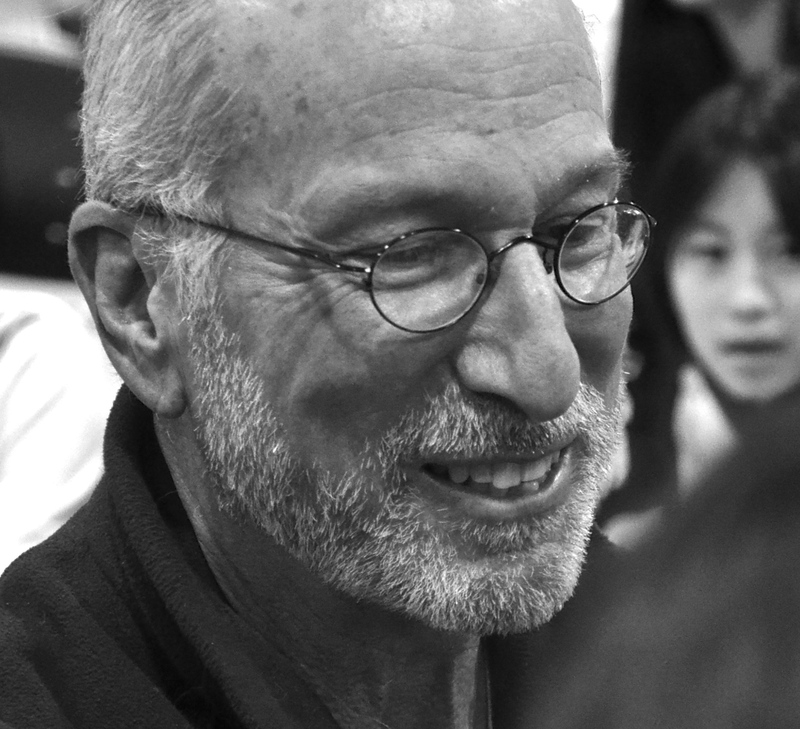 Bruce brings a lifetime of training as a movement artist and educator to his work as an Alexander teacher, having trained in Gymnastics, Modern Dance, Ballet, Contact Improvisation, Tai Chi Chu’an, Aikido, Chanoyu, Argentine Tango, and Kyudo. In 1982, Bruce co-founded the Alexander Alliance International, an intergenerational, multicultural community/school. Currently director of the Alexander Alliance Germany, Bruce also teaches annually for Alexander Alliance training programs in Japan, Korea, and America. He conducts post graduate training programs in Dorset and Zurich. Author of Teaching By Hand/Learning By Heart – Delving Into The Work Of F.M. Alexander, soon to be published by Mouritz Press. When: Saturday, October 14, 2017 – 13:00-18:00/19:30-21:00. Fee: £120. £175 for three days of study. Fee for AT trainees £100. £150 for three days of study. Accommodation: There are a variety of accommodations available at Gaunts House, allocated on a first come first served basis. However their policy is that you must stay over for at least two nights. 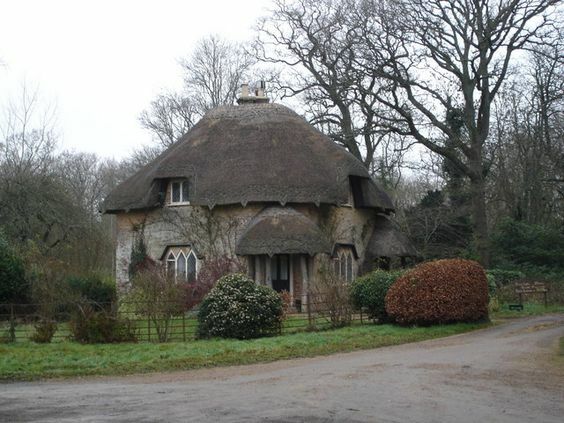 (If you should wish to stay over only one night there are bed and breakfast establishments close by.) Basic cost for a twin room at Gaunts House is from £80 per day. Costs include all meals, (vegetarian), breakfast, lunch and dinner, as well as unlimited teas and coffee throughout the day. Please indicate your preference when registering and any dietary requirements. See you at Gaunts House! Inhibition and Direction go together like Ginger Rogers and Fred Astaire, like Abbott and Costello, like Batman and Robin, like Tonto and the Lone Ranger. Like Yin and Yang. Actually a lot like yin and yang. First there is nothing and then there is something. First there was evening and then morning. Inhibition and Direction. On July 2nd, at the beautiful CTC space, we will spend a whole day together playing with a number of directional systems, all variations on a theme, that theme being Alexander’s classical directions. According to F.M., as we all know, direction is…the process involved in projecting messages from the brain to the mechanisms and in conducting the energy necessary to the use of those mechanism. My imagistic mind sees a bottle floating up on the shore and in the bottle hides a message. Imagine the message as a map, directions, or instructions giving us a hint as to how to get from here to really here. The message may be communicated via words, but may be communicated non-verbally as well, geometrically or graphically. The message, in whatever form, excites us, energizes us and off we go in some direction toward our destination, from here to really here. Join me for a day of improvising with helical, spherical, anatomical, verbal, imagistic, and spatial expressions of Alexander’s classical directions. 10:00 – 1:30 morning class. £75 for those of you who took my workshop in April, if you bring another teacher or trainee who would like to take the workshop. £50 for all Alexander teachers enrolled in the Alexander Alliance Post Graduate Training Program in Dorset. Early registration ends June 3, 2017. Monday, July 3rd: Private Lessons. I look forward to meeting you and to working with you. In Europe, Asia, and America, classically trained Alexander teachers are asking me to teach them how I work. They seem especially intrigued with how I use my hands, while also expressing their appreciation for my simple way of articulating complex Alexandrian principles without the need for jargon. They seem to like how I see people in their entirety, seeing through the body into a world of being and becoming. Many of my post-graduate students became curious about my training program, the Alexander Alliance Germany, and began visiting. They found a rigorous, demanding, disciplined training that at the same time was warm, friendly, lighthearted, and fun. While at the Alliance Germany many of my post-graduate students encountered the teaching of Robyn Avalon. Like virtually everyone, myself included, they fell in love with her work, its depth, its clarity, its effectiveness, and perhaps above all, its joyfulness. Robyn and I have been working together for 30 years. We are two teachers who have figured out how to be successful and effective AT teachers in the world at large. We will share our practical, hard earned wisdom with you so that you can do the same. Our Post Graduate Training Program Switzerland will be composed of four 7 fullday retreats, two taught by Robyn Avalon and two taught by me. These four retreats will take place over a two-year period, totaling 200 hours of study. Retreats will be held in April and October. This Post Graduate Training Program is open to all certified teachers of the Alexander Technique. We are excited to be co-teaching this Post Graduate Training Program, and we hope you are too. Annie Turner – Alexander Technique Teacher, STAT, England. Hands close and open, grasp, cling, clench, and release. Hands express. They welcome, warn and inform, and in our case, hands educe. Educative hands lead out that which lies within. Together we will increase our tactual palette, become more tactually literate and learn how to access the whole person through myriad networks: skeletal, muscular, fascial, cellular, organ, and nervous systems. We understand well the paramount importance of personal use while teaching, and the direct impact our use has on our quality of touch. As important as good use is, additional knowledge into the hand’s inherent design can help us acquire hands that are, at once, soft and powerful, light and deep, stabilizing and mobilizing, quieting and energizing. As there are primary colors, so too there are primary touches: push, pull, slide, spin, and roll. In other words, physics. We will also consider the metaphysics of touch. It’s a disservice to reduce a person to their body. We never really only touch a person’s body. We touch a person. Our goal is to touch a person’s being through their body. But to touch a person’s being through their body we first have to be able to see a person’s being through their body, which means knowing how to see beyond posture, beyond body mechanics, beyond use. We offer a template, a simple framework, evolved over 40 years of teaching AT, for clearly and effectively introducing Alexander’s work within a group setting. It’s easy to learn. It leaves you free to choose the content you wish to impart to others. Introducing the technique to a group of students can be intimidating for Alexander teachers. Knowing this simple structure makes it much easier. Knowing lots of group explorations, movement etudes, and games are important tools when it comes to teaching AT in groups. We will share some of our favorites with you – games we have crafted and taught to literally thousands of beginners over decades of teaching. Learn how to create your own etudes and games, which impart important AT principles and skills. We will be giving multiple introductory workshops inside of the seven-fullday training retreats. Each of these one-day workshops will introduce Alexander’s work from a different point of view. These days of introductory workshops are part of the Post Graduate Training Program. It’s the best way to learn how to introduce the work to people in groups. We encourage each graduate trainee to bring at least one person who really wants to take an introductory workshop in the Alexander Technique. Alexander teachers excel in creating what I refer to as “tensegral support”. It’s the support system that creates the hallmark experience of kinesthetic lightness, the sense of suspension. But there are other essential systems of support, complimentary systems that most Alexander teachers do not excel at accessing, such as ground support, organ support, and spatial support. When these complimentary systems of support integrate with tensegral support the side effect of postural stiffness, so prevalent in our work, subsides. Finally, and perhaps most important to self-support, is how we think; how we think about our bodies, ourselves, others, and the world at large. Distorted and/or untrue thoughts and beliefs are self-sabotaging. Knowing how to observe, question, and defuse internal stimuli – thoughts, emotions, and sensations – may be more important than how we respond to external stimuli. Knowing how to use our mind to come to our senses sets us free. Life Work is a contemporary Alexander procedure, a way of proceeding to teach people how to employ Alexander’s work when under trying conditions and faced with harsh realities. Being able to work with people this way is enormously beneficial. It brings the Work to life and life into the Work. Collectively, Robyn and I have been joyfully obsessing over human directionality for 81 years! That’s true. Robyn will approach human directionality via her Living in a Body™ material. My approach will be through the body mapping work developed by Bill and Barbara Conable, through the teaching of my Salmon Rising/Water Falling Patterns, and through an in depth look into the Albinus Copperplate Engravings. Living in a Body™, a course in body mapping designed by Robyn nearly 25 years ago, has been translated into 5 languages and is now taught worldwide. Living in a Body™ teaches us how to see when a person’s map does not match their inherent design. It offers a multitude of etudes and games for helping them change the beliefs that interfere with their ability to live and work in accordance with their inherent design. In this training, Robyn will offer the essential highlights of the LIAB™ material. Salmon Rising/Water Falling is an Alexander etude developed by me over many years, which helps make our invisible directional weave of support visible. Everyone seems to love learning these patterns. These oppositional yet complimentary kinesthetic pathways course their way through us and, when awakened, integrate us, allowing our bodies and beings to become light and substantial, soft and strong, firm and flexible, calm and clear, articulate and unified. In our work we know trying to make something happen and allowing something to happen are worlds apart. One is done alone, one in partnership. Allowing happens when we are in partnership with our nature, with what is natural within us, with our original design, with our innate coordination. Our job as AT teachers is to bring our students in touch with their inherent support, power, and ease. Gradually, our students begin to trust their innate coordination, and learn to live in partnership with it. Life becomes less of an effort and more of a dance. When we lose touch with our partner, we lose support, and again we begin doing everything by ourselves. Trying and forcing return. If we are to allow life to freely unfold, we must learn how to willfully and joyfully surrender, to “give up going it alone”. We learn to ask for how we want to be. We learn how to send clear directives to naturally governing forces deep within us. Paradoxically, learning to surrender to these deep governing forces gives us the control we always wanted. We cannot force freedom upon ourselves or anyone else. Ultimately, the work does itself. 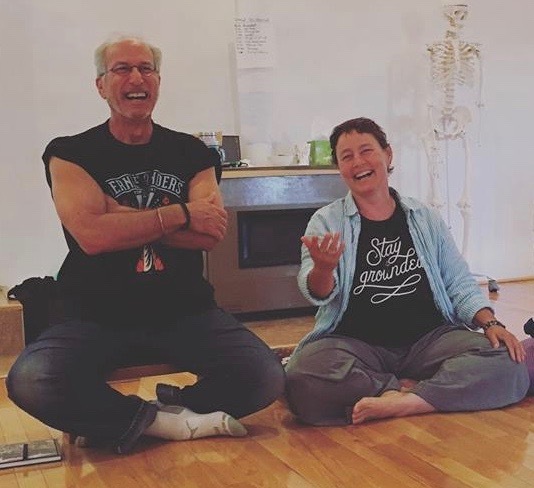 Our Post Graduate Training Program Switzerland will be composed of four 7-fullday retreats, two taught by Robyn Avalon and two taught by Bruce Fertman. These four retreats will take place over a two-year period, totaling 200 hours of study. This Program is open to all certified teachers of the Alexander Technique. Where: The retreats will take place in Vorarlberg/Austria close to the Swiss boarder in the retreat centers St. Arbogast & Batschuns. Rooms with full board (breakfast, lunch and dinner) are available from € 79 or € 84 (single occupation) and from € 70 or € 78 (double occupation) per night, depending on the location. They will be available on a first come and first serve basis. The Introductory Workshops, which are part of the Program, will be scheduled at the beginning or end of the retreats in Zurich. There will be enough time for travelling. Robyn has been studying Alexander’s work for over 40 years, being first introduced to it as a young performing artist. She has worked with members of renowned opera companies, symphony orchestras, music ensembles, music conservatories, dance companies, and circuses including the American Ballet Theater, NYC Ballet, Joffery Ballet, Paul Taylor, Twyla Tharp, Alvin Ailey, Merce Cunningham, Maria Benitez, Meredith Monk, Orpheus, the Juilliard School, the Meadowmount School of Music, Cirque de Soleil, and Ringling Bros/Barnum & Bailey. Robyn has also taught for the US Olympic Dressage Team, the Ladies Professional Golf Association, and the Texas “Aggies” Football Team. She offers continuing education workshops at National Conventions for Osteopathic Physicians, Dentistry, Fiber Arts, National Opera Association, NATS, Suzuki, and Centered Riding. Robyn is a professional director, choreographer, and dancer. She was a founding member of two rhythm tap companies, and has done international and national tours, Off-Broadway, film and television. Her work has been seen in venues as diverse as NYC’s Blue Note Jazz Club, Carnegie Hall, and The White House. In addition to her love for the performing arts, Robyn enjoys the healing arts, and is a certified practitioner of Cranial Sacral, Visceral Unwinding, Deep Imagery®, and Matrix Energetics®. 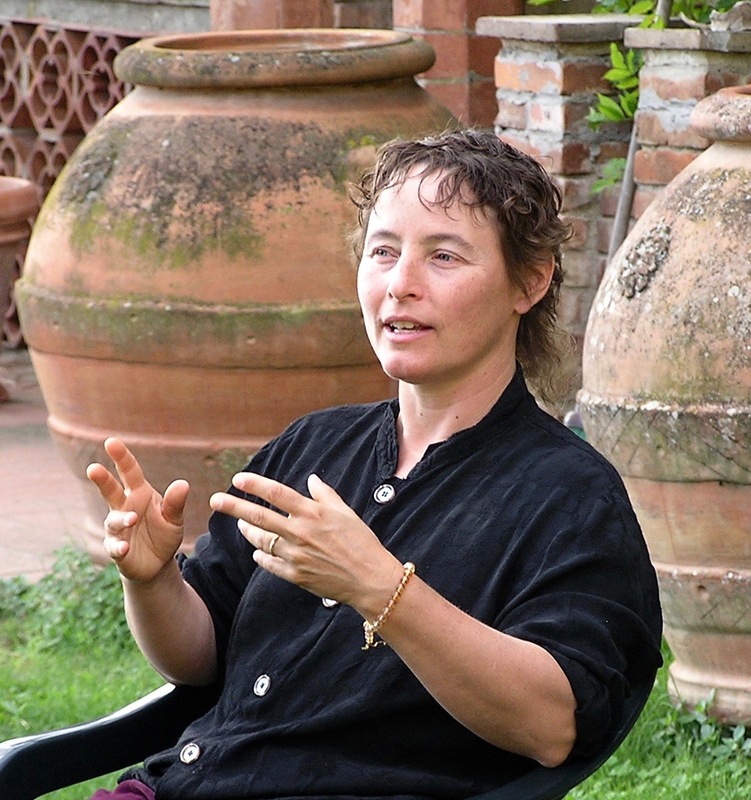 Robyn is the founding director of the Contemporary Alexander School, and co-director of the Alexander Alliance International and is on the core faculty of all Alexander Alliance Schools. Incredibly broad knowledge, clear, to the point and exact, incredible energy, incredibly kind and loving, profound and playful – that´s Robyn. Knowing Robyn has changed my life, given me more freedom and joy. Robyn has opened a whole new world of possibilities for me. She´s the Queen of Group teaching. If you want to learn to enjoy what you do, she is the one you want to meet. Robyn teaches ease, grace, high performance, curiosity and freedom. Her enthusiasm is contagious. Bruce trained with five, first generation Alexander teachers: Catherine Merrick Wielopolska, Marjorie L. Barstow, Richard M. Gummere Jr., Elisabeth Walker, and Erika Whittaker. He brings a lifetime of training as a movement artist and educator to his work as an Alexander teacher having trained in Gymnastics, Modern Dance, Ballet, Contact Improvisation, Tai Chi Chu’an, Aikido, Japanese Tea Ceremony, Argentine Tango, and Kyudo. He has worked with members of the Berlin Philharmonic, Radio France, The National Symphony in Washington DC, the Honolulu Symphony, for the Curtis Institute of Music, and most recently for Jeong Ga Ak Hoe, a traditional Korean Music Ensemble in Seoul, Korea. Bruce taught for the Five College Dance Program in Amherst, Massachusetts for 13 years, and for the Tango community in Buenos Aires. For 6 years, he taught movement for actors at Temple and Rutgers University. In 1982, Bruce co-founded the Alexander Alliance with Martha Hansen Fertman, an intergenerational, multicultural community/school, the first Alexander teacher training program inspired primarily by the work of Marjorie Barstow. Currently, director of education and senior teacher for the Alexander Alliance Germany, Bruce also teaches annually for Alexander Alliance training programs in Japan, Korea, England, Switzerland, and America. Bruce’s heart centered approach as a teacher rests upon extensive study in psychology and theology, specifically, the work of Eric Berne, (Transactional Analysis), Carl Rogers, (Person Centered Therapy), Frederick Perls, (Gestalt Therapy), Albert Ellis, (Rational-Emotive Therapy), Carl Jung, (Analytical Psychology), and Byron Katie (Inquiry). Having also studied with Jewish, Christian, and Buddhist scholars, Bruce’s work centers around body and being, movement and meaning, and the relationship between physical and spiritual grace. Bruce has been using his hands to help people for 55 years.